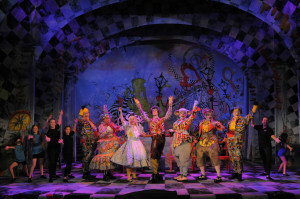 Cell Pack Solutions are once again supporting the Annual Pantomime at the South Shields Customs House. The team at the Customs House do so much for the Cultural Benefit of the people in the Region that we felt that we wanted to make a contribution to this event. The event means so much to them and helps to sustain their efforts over the year. This year the pantomime is a take on Alice in Wonderland to celebrate its 150th anniversary. The performance will be shown from December 1st 2015 until the January 9th 2016. For more information visit the Customs House Website.